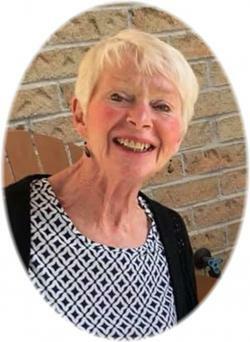 Heather Ann Warden, RN – 72, of Coldbrook, Kings County, passed away of ovarian cancer on Sunday, March 24, 2019 in the Valley Regional Hospital, Kentville. Born in Halifax, she was a daughter of the late Sydney and Nellie (MacKay) Manning. Following graduation from the Victoria General Hospital School of Nursing, Halifax, Heather enjoyed a long career of caring for others at the Victoria General Hospital, the Provincial Sanatorium, Charlottetown, and the Eastern Kings Memorial Hospital, Wolfville (from 1981 until the time of its closing). Following the closure of the EKM Hospital, Heather became co-owner of the Weave Shed in Wolfville, which she enjoyed running with her nurse co-owners for five years. Heather was a talented artist and loved to paint and sketch. Heather greatly impacted the lives of others and leaves behind a wide circle of life-long friends, who remained by her side during her illness. Heather loved music, especially Disco and Oldies, had a great sense of humour and an infectious laugh. She was well-known and loved for her kind heart and generous spirit. To all who met, worked with, knew and loved Heather, she was an extremely special lady. She is survived by her adoring daughter, Ali (Ross) Copp, Whitby, ON; her cherished granddaughter, Rachel, Whitby, ON. In addition to her parents, she was predeceased by her husband, John Warden; a sister, Sandra Brittain. Cremation has taken place. There will be no visitation or funeral service, by request. Donations to the Valley Regional Hospital Foundation in Heather’s memory are greatly appreciated. Special thanks to the Surgical In-patient Unit staff at the Valley Regional Hospital for their exceptional care, compassion and kindness. A very special thank-you to nurse Brownyn, whose empathy, professionalism and kindness will not be forgotten. Arrangements have been entrusted to the White Family Funeral Home and Cremation Services, Kentville.